When last year’s vinyl banner still has some life in it, but you have new information to put on the banner, we can make you a patch like you see on the banner at the right. Depending on the material your vinyl banner is made from, we’ll either give you an adhesive vinyl patch, or a patch made from the original vinyl banner material with double sided tape on the back. Either way, it’s usually a substantial savings from printing a whole new vinyl banner. 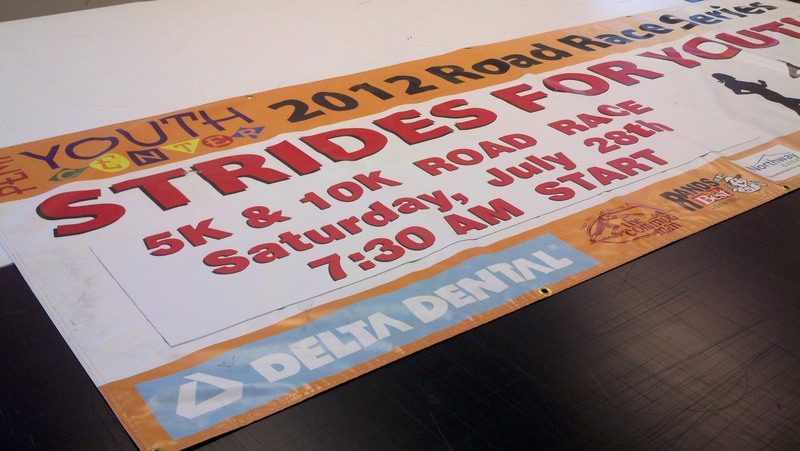 This entry was posted in large format printing and tagged adhesive vinyl, banner changes, banner patch, Vinyl Banners. Bookmark the permalink.